Bella visits Lowe&#39;s Grove MS! Bella visits Lowe's Grove MS! Bella, a therapy dog, visited Lowe's Grove today. Bella is part of PetPalsNC. Find out more at: https://petpalsnc.org/ . Bella will visit Lowe's Grove EVERY Tuesday morning. 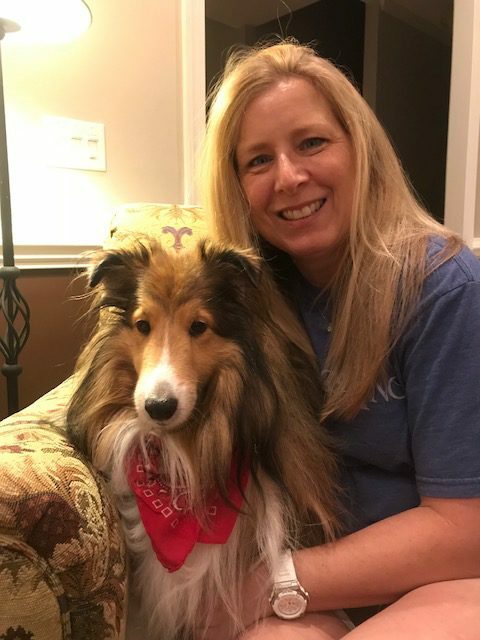 Here is a little more about Bella and her owner Tammy. Bella is a 9 year old Shetland Sheepdog. She and I just moved into the Triangle Area this past summer from Greenville, South Carolina. In SC, we participated with Upstate Therapy Dogs group and enjoyed visiting the local Shriner’s Hospital ,the Greenville’s children’s hospital, and local nursing homes. We also participated in a reading program (All Ears) for elementary aged children. We are excited to be a part of PetPals and look forward to making new friends and new smiles. Bella loves to wear scarves, eat marshmallows, and having her belly rubbed. She is a sweet and mild mannered dog who is quite the diva for attention, and she loves to share her tricks with anyone to make them smile and have fun.